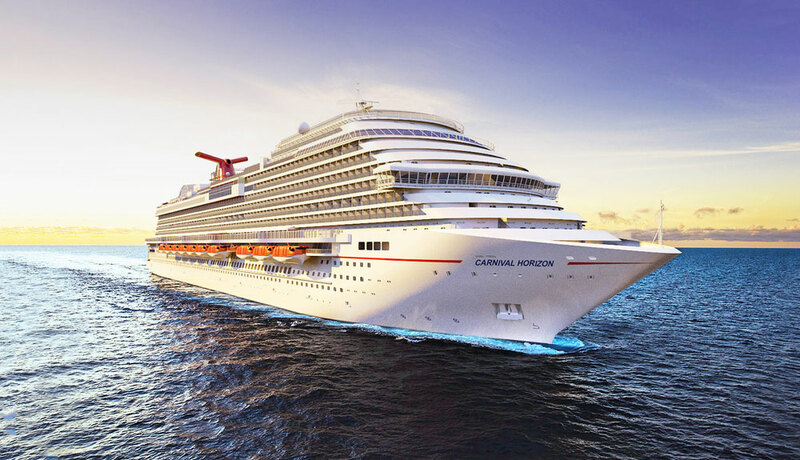 Carnival Cruise Line has celebrated a major construction milestone for Carnival Horizon. 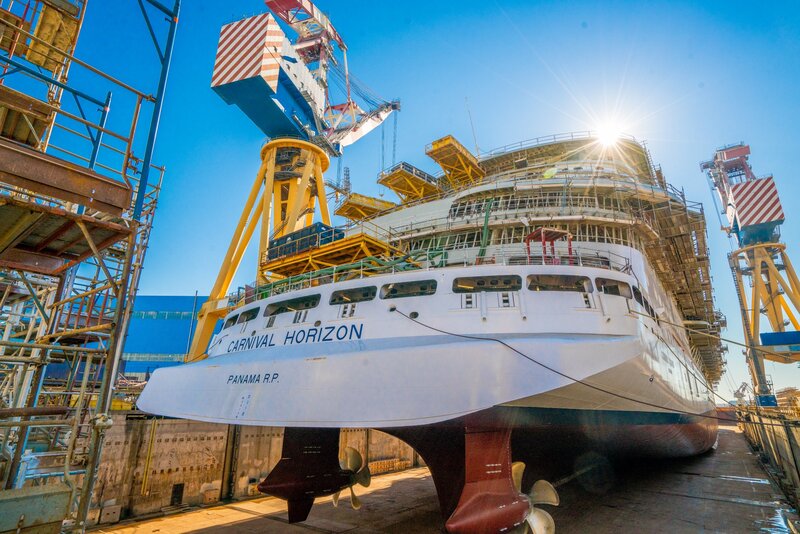 The upcoming ship is currently under construction at the Fincantieri shipyard in Marghera, Italy. The vessel celebrated a traditional coin ceremony which was attended by shipyard and cruise line executives. The coin ceremony consists of welding a silver dollar on the last deck of the ship, a traditional event in the maritime industry. Under a vivid blue sky, the Carnival Horizon made one step further to being completed but there are still many months to go. It was also the first time the second Vista-class ship floated on water.The next phase of construction will begin with all the interior spaces starting to come together. While in the wet dock the next phase of construction will begin with all the interior spaces starting to come together. As the ship gets closer to making its debut in April 2018 the crew will still have to arrive a month or two before. They will set up their departments ready for the first guests. Carnival Horizon will be an identical design to sister ship Carnival Vista. Highlights include the SkyRide and IMAX Theater, both firsts at sea when introduced on the Carnival Vista. Carnival Horizon will be 133,500 gross tons once complete and carry 3,936 guests at double occupancy. Readers can find out more about the ship’s itineraries in a previous post.